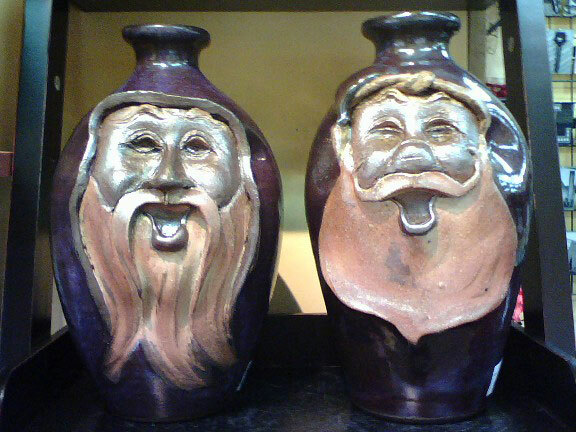 Mike Calhoun started doing face jugs after marrying Janet in 1986. He was new to pottery but quickly learned to sculpt and to throw. Mike’s imagination led him to produce an array of faces the first few years before finding his niche. He is now known for Santas, Wizards, Clay spirits, and Cry Babies. Some of the newest works are Mrs Claus, and Santa, Dec 26th. 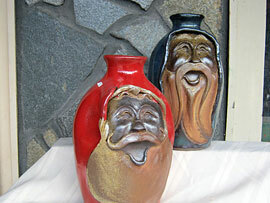 A great selection of Mike’s jugs can be seen on our Pinterest page. 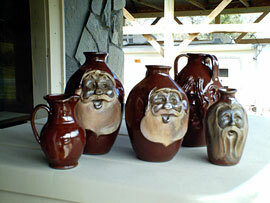 Mike’s jugs sale quickly at each of the wood kiln openings. Jugs can also be ordered. 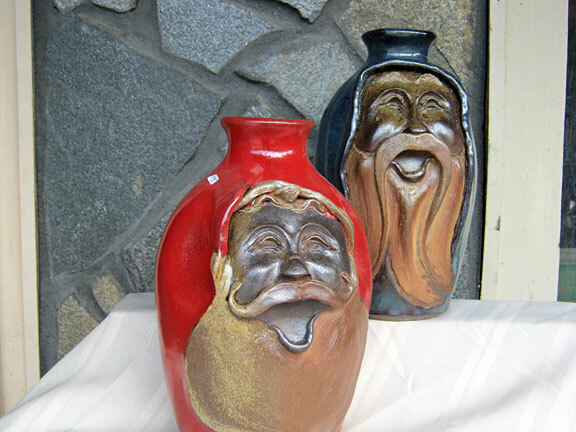 Prices range from $45 face mugs to $300 double face jugs. 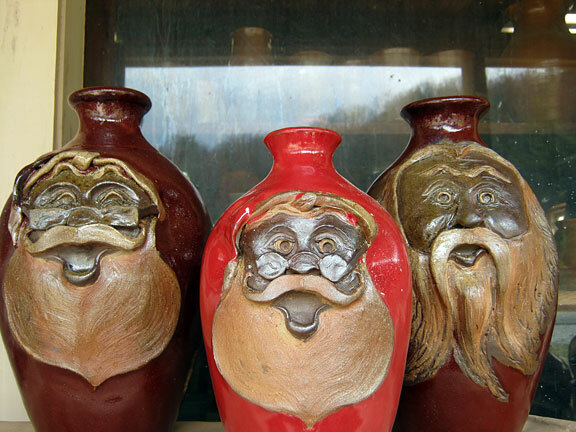 and behind the scene looks at our workshop, woodkiln, and other events. All pottery is microwave, oven and dishwasher safe. ©2019 Traditions Pottery. All Rights Reserved.